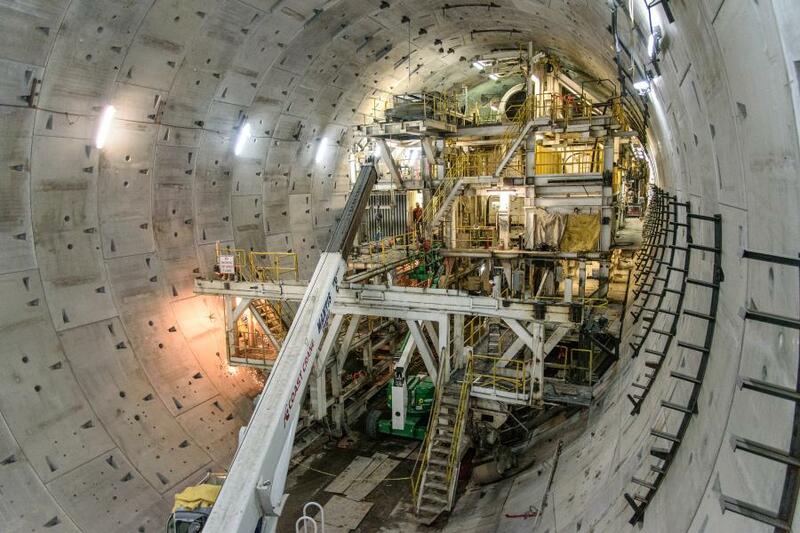 Efforts in Seattle to dismantle the custom-made tunneling machine fondly dubbed “Bertha” are proceeding as planned with completion on schedule for September. 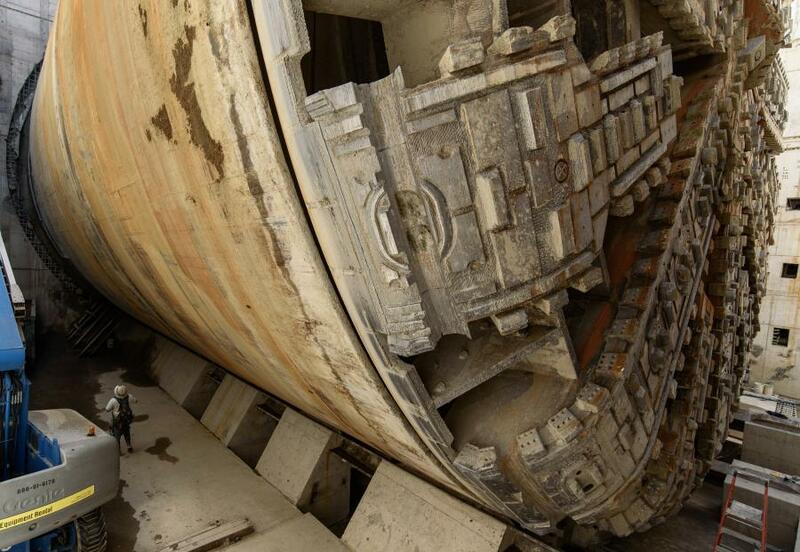 The tunneling machine was used to carve a 1.7-mi. 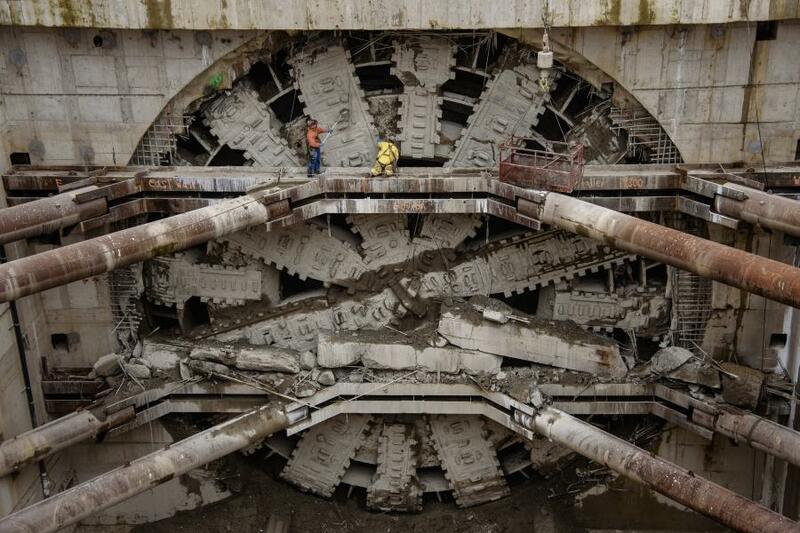 tunnel beneath the city of Seattle, a task that was begun in April 2013. Four years later, on April 4, the 8,000 ton, five-story-tall machine broke into daylight 64 years to the day after the Alaskan Way Viaduct first opened to traffic. The tunnel project will move a 2-mi. section of SR 99 underground when it wraps up in early 2019. Crews will then demolish the viaduct, clearing the way for the city's new waterfront. 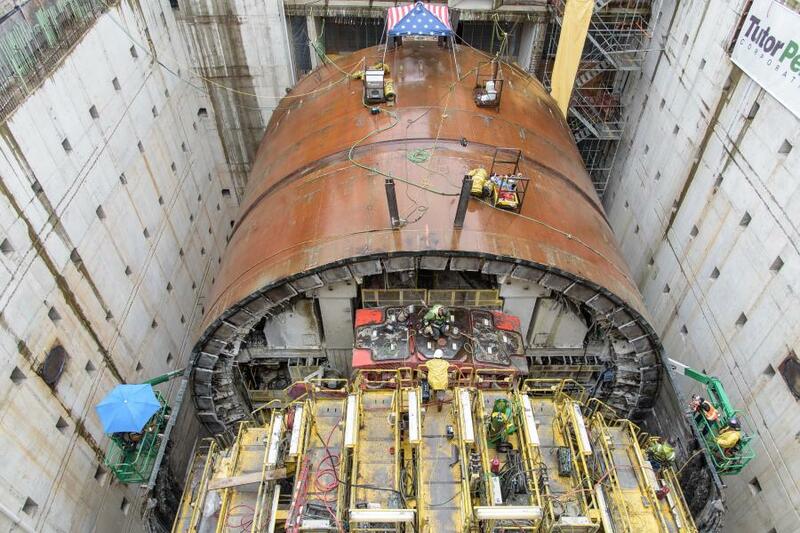 Work to dismantle Bertha began in May after crews moved it into place in the disassembly pit. “Frontier-Kemper is dismantling the machine from two locations,” said Chris Dixon, project manager of tunnel contractor Seattle Tunnel Partners. 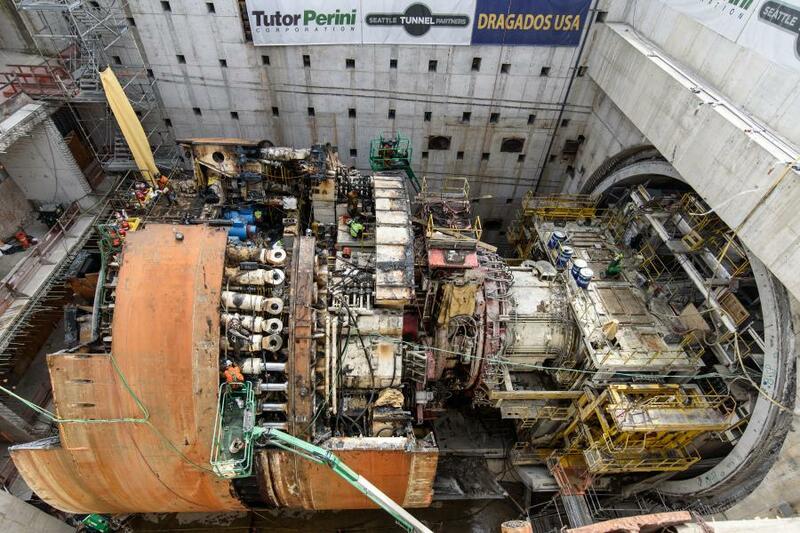 “The most visible is inside the north retrieval or disassembly pit, where they used powerful torches to slice and lift most of the 950-ton cutterhead. 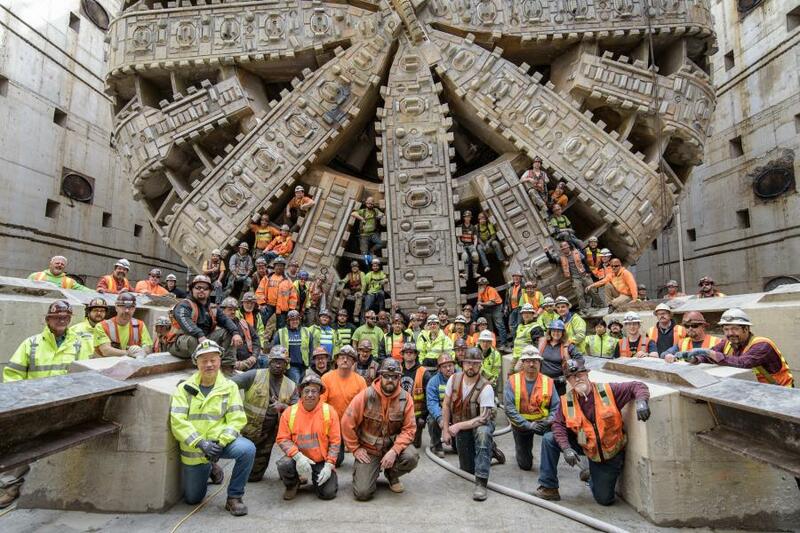 As of [mid-June], almost all of the shield protecting the front third of the machine has been cut and lifted. A 400-ton crawler crane has proven more than capable of lifting the heaviest pieces, which weighed more than 100 tons. Hitachi Zosen, the manufacturer and owner of the tunneling machine, decides which parts will be recycled, refurbished and/or reused. 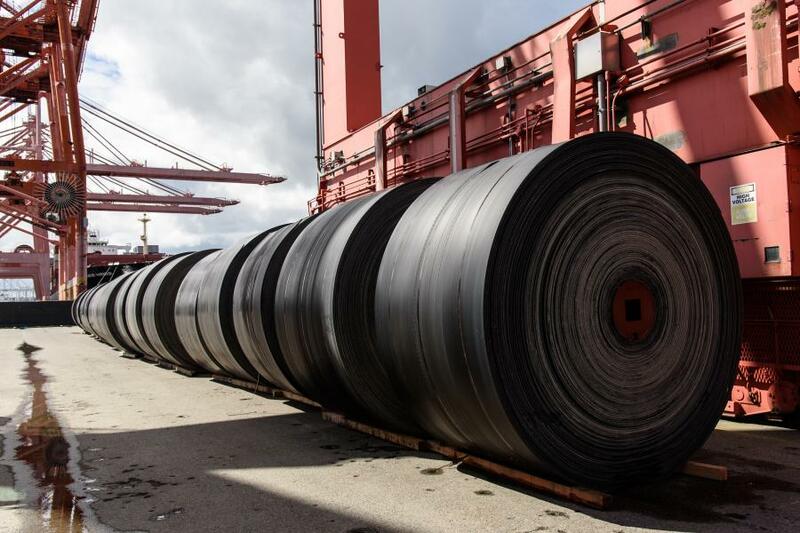 The cutterhead could not be reused as it had to be cut into much smaller pieces and lifted, Dixon said, noting that Hitachi Zosen sent most of the cutterhead to Seattle Iron and Metals for recycling. 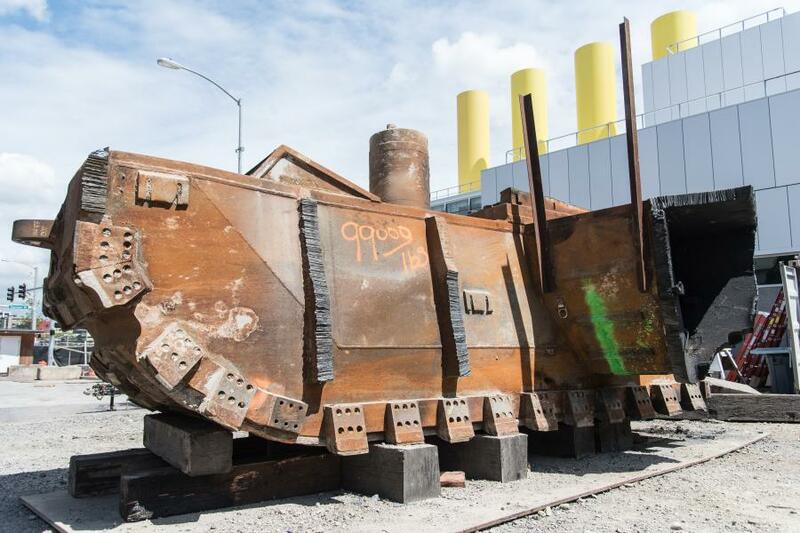 The firm also gave the Port of Seattle two pieces of the cutterhead for the Port to use for display purposes later. The work has gone largely as expected, Dixon said, with workers adjusting the dismantling process as needed. The project has not always gone so smoothly. 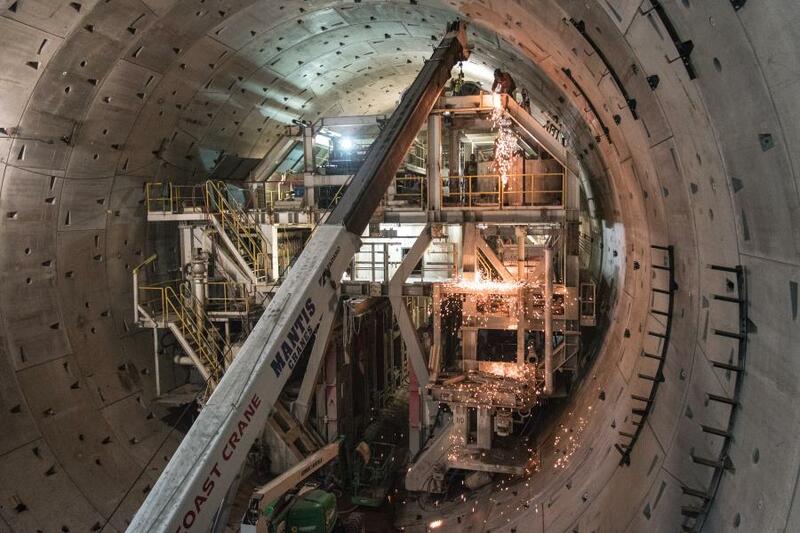 In December 2013, work on the tunnel came to halt after high temperatures were registered on the tunneling machine. A little over 1,000 ft. had been excavated at the time. It was determined there was damage to the seal system on the machine. 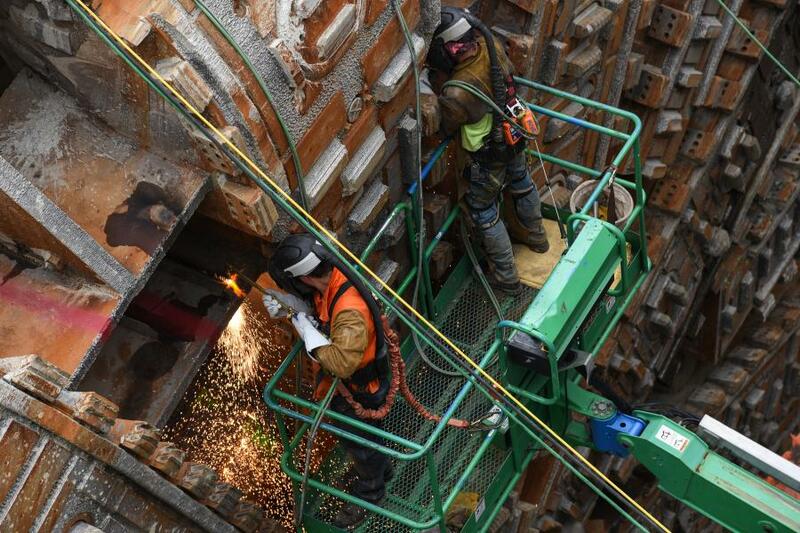 The manufacturer, Hitachi Zosen, chose to repair the machine from the surface, requiring construction of an 80-ft. wide, 120-ft.-deep access pit in a work zone west of the Alaskan Way Viaduct. Between March and August 2015, Hitachi Zosen installed a re-designed seal system and made additional repairs to the machine, then lowered the front end back into the ground. 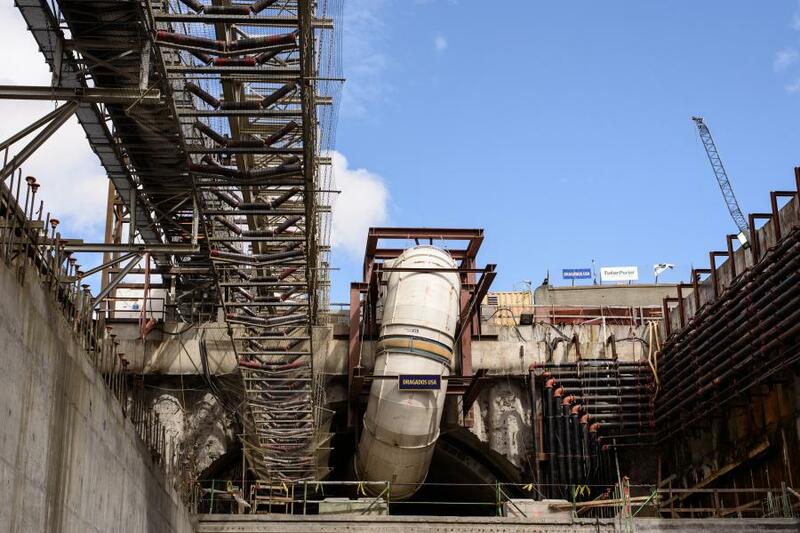 In December 2015, STP refilled the access pit and again began tunneling. It remains unclear how the machine was damaged. 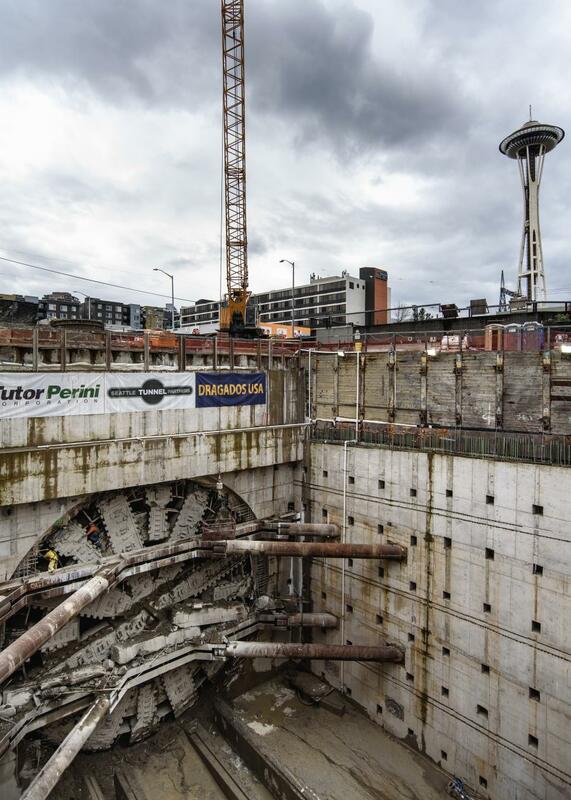 “It is the contractor's claim that a hollow, 8-inch steel well casing caused the damage to the tunneling machine,” said Laura Newborn, spokeswoman of the Washington Department of Transportation. “WSDOT disagrees with the contractor's assertion that the pipe caused the damage. The contractor paid for the repairs and has requested reimbursement. STP still has significant work to complete before the tunnel opens, said Newborn. “Crews must finish building the double-deck highway within the circular walls that were built by crews inside the tunneling machine. Mechanical and electrical systems, plumbing and safety features also must be installed. “Even as workers are installing these systems, crews will begin the extensive task of testing and commissioning the tunnel to ensure it's ready for traffic,” Newborn said. Inspectors will individually test more than 8,500 separate components before testing each of the tunnel's various systems as a whole. Over the next several years, the city of Seattle's Waterfront Seattle project will build new public space and a surface boulevard in the place of the double-deck viaduct, which is scheduled for demolition in 2019. Soil extracted from beneath Seattle: 850,000 cu. yds.